Sits & Wiggles will teach you how to use positive reinforcement training methods to treat any behavior issue and help you design a training plan that will accomplish your goals. Our training services are aimed at bringing out the best in your dogs so that they become well-behaved and happy members of your family. Most importantly, the training will help you nurture a deep bond with your dog based on trust and understanding while establishing clear rules and structure to set your dog up for success. In-home private consultations are 60 to 90 minutes. Group classes are 60 minutes. For puppies 8 weeks to 6 months old. Pre-registration required. Please call for schedule. We offer a fun four-week group class focused on socialization and teaching your puppy basic good manners. We will help you treat common puppy behavior challenges such as housetraining, nipping, and barking while also teaching your puppy how to sit, come, lie down, stay, relax, and walk on-leash. For puppies up to 6 months old. We will teach you how to responsibly socialize your puppy and train the basic behaviors that your puppy needs to know to become a well-behaved and happy dog. 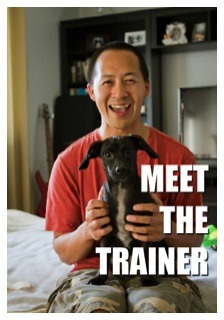 Your puppy will learn sit, stay, lie down, come, leave it, drop it, polite leash walking, crate training and housetraining. You will also learn simple solutions that address and prevent typical puppy growing pains such as nipping, destructive chewing and excessive barking. For dogs over 6 months old. This course will teach your adolescent or adult dog the proper way to behave in a human household. Basic good manners includes sit, stay, lie down, come, leave it, drop it, polite leash walking and crate training. We will also be able to address bad habits that your dog may have learned. You'll be amazed by your dog’s progress! 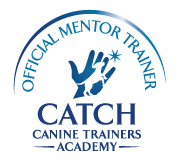 This program is for dogs who already have the basics down and need an advanced challenge. The program is developed through thoughtful consideration of your goals and your dog's personality. Contact us to discuss how we can design a specialized training program. Does your dog have a behavior issue that concerns or frightens you? Is your dog aggressive to people or other dogs? Is your dog fearful or suffering from anxiety? Does your dog act out of control and have trouble calming down? 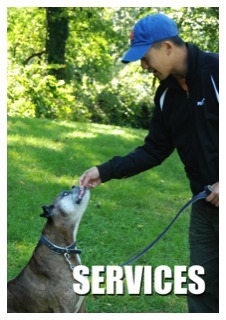 We have years of experience treating the most challenging behavior cases in the NYC Metropolitan Area. We can help you understand your dog’s behavior, how to prevent unwanted behavior, and how to teach and reinforce new desired behaviors through a creative and thorough behavior modification plan. Contact us and see what we can do to help! Only available for Riverdale clients. Dogs learn best through practice and repetition. 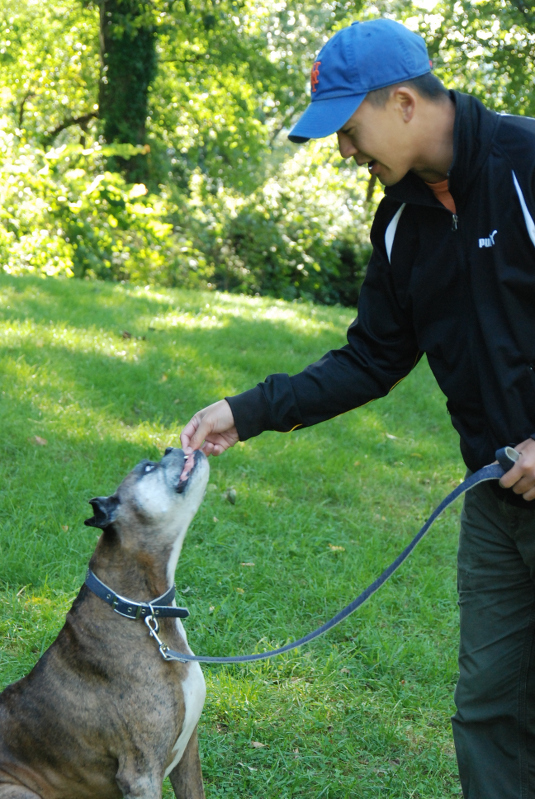 We can train your dog while you are at work to help jumpstart or maintain your training. We offer 45 or 60 minute sessions. * only available for Riverdale clients.